Americans want, need, and deserve excellent schools for all students. Community Schools provide each and every student with the resources, opportunities, and support that make academic success possible and that create strong ties among families, students, schools, and community. 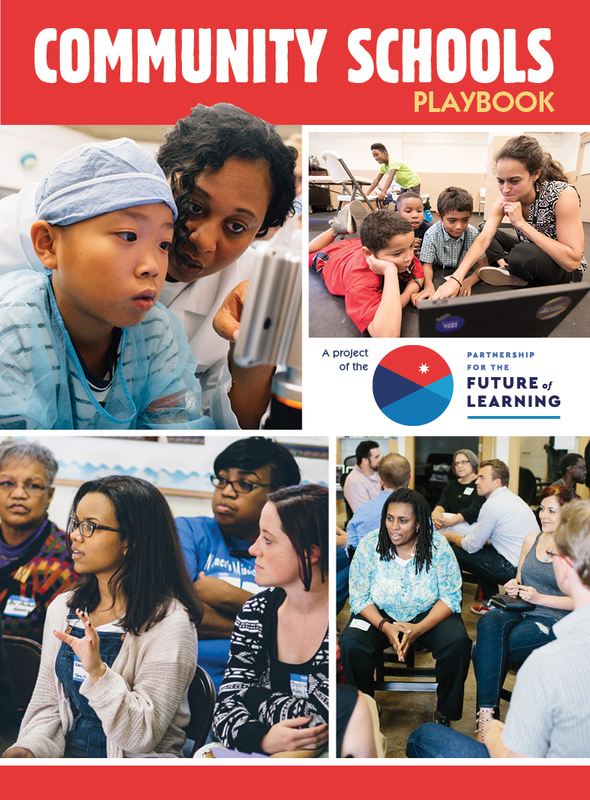 This guide provides tools for advancing community schools as a strategy to improve schools, provide more equitable opportunities, and prepare students for success in life and as citizens. Learn about the definition of Community Schools, why they work, and what it takes to implement them. Understand the policy mechanisms and principles that underpin Community Schools and see how they are being implemented in states. A dedicated staff member coordinates support programs to address out-of-school learning barriers for students and families. Mental and physical health services support student success. Enrichment activities emphasize real-world learning and community problem solving. After-school, weekend, and summer programs provide academic instruction and individualized support. Schools function as neighborhood hubs. There are educational opportunities for adults, and family members can share their stories and serve as equal partners in promoting student success. Parents, students, teachers, principals, and community partners build a culture of professional learning, collective trust, and shared responsibility through site-based leadership teams and teacher learning communities. Use this practical guidance, opinion research, and message points to be an effective communicator for community schools. Use these sample bills and resolutions to enact community schools policies at state, city, county, and school board levels. From Maryland to New Mexico, Ohio to Hawaii, see how states are activating community schools through ESSA. A collection of guides, standards, strategies, and other tools for implementing Community Schools. Use these videos, graphics, and memes to share the story of Community Schools with your network.